We’ve all fantasized about what it would be like to say “I quit” to the old 9 to 5. Entrepreneurship, a.k.a. the new American dream, offers freedom, excitement, and wealth to those willing to dream big enough: be your own boss, set your own hours, make more money, and fulfill your true passion. But creating and owning your own business requires a special mindset and skillset, and not everyone is cut out for it. Franchising: Is it Just a Job? The concept of franchising seems simple enough. Jump straight into running a business without having to start from scratch; there’s a developed business model, brand, products, and services all in place to lead off. Even though franchising doesn’t mean owning a business, franchisees are still very much invested. When you run a franchise, you give your passion, discipline, and commitment, as well as your own money to this business’s success. You’re responsible for successfully managing everything from cash flow to stock, and for executing everything from the customer service strategy to the marketing strategy. It’s not buying a job; it’s cultivating a business. According to statistics from the U.S. Department of Commerce, franchises account for half of U.S. retail sales and franchise businesses continue to grow faster than the rest of the U.S. economy. Lendio has recently ventured into the growing franchise world, offering Lendio Franchises that help small business owners find the loan they need to grow their business by leveraging Lendio’s business loan marketplace. You’re amenable to supporting a franchisor’s brand direction, business system, and offering of products and services while still functioning independently and innovatively. You’re willing to sign and adhere to a franchise agreement and term, as well as committed to meeting the sales and profit goals set forth in the franchise model. You’re able to come up with funds to front the startup and the franchise fee. Keep in mind you’ll also be responsible for advertising fees and other royalties. A franchisor may decide at the end of your contract to change the terms of your agreement or not renew the license at all; it’s crucial to do a thorough investigation of the franchisor before you enter into an agreement. Study the Federal Trade Commission’s (FTC) A Consumer’s Guide to Buying a Franchise which will help you understand costs, franchisor controls and contractual obligations, as well as help you determine your future earning potential. Ensure the franchise you’re considering has a proven business concept, well-established brand and plenty of training support. Research your location extensively. For a few hundred dollars, you can purchase a demographics report for the area in order to analyze the trends, patterns and potential for business. Obtain a Franchise Disclosure Document (FDD) that outlines the details of the franchise contract. Mandated by the FTC, this document details 23 items you must understand before you sign on that dotted line: an overview of the company, its litigation, bankruptcy history, your initial fees and investment, territory, trademarks and patents, financial statements and more. Speak with other franchisees, both current and former, of the company you’re considering. You’ll find the current franchisees’ names and phone numbers in the FDD. 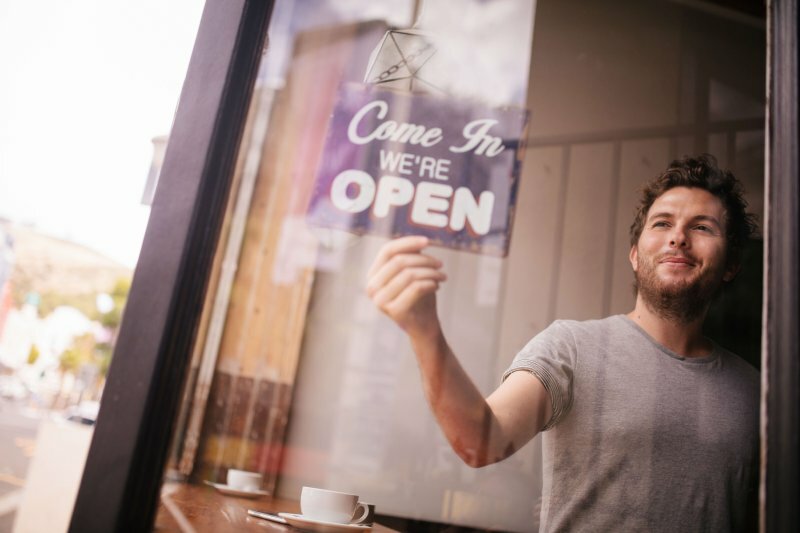 If you’re eager to dive into the small business sector and hit the ground running, franchising could be your cup of tea. Enjoy the security of an established brand name while you gain valuable knowledge and confidence that will propel you forward in your own entrepreneurial pursuits—whether that means adding more franchises, branching off to build your own startup or taking over an existing business.